Earrings made from recycled computer hard drive spindle rings, cat5 wire and beads. These earrings are fairly light weight. 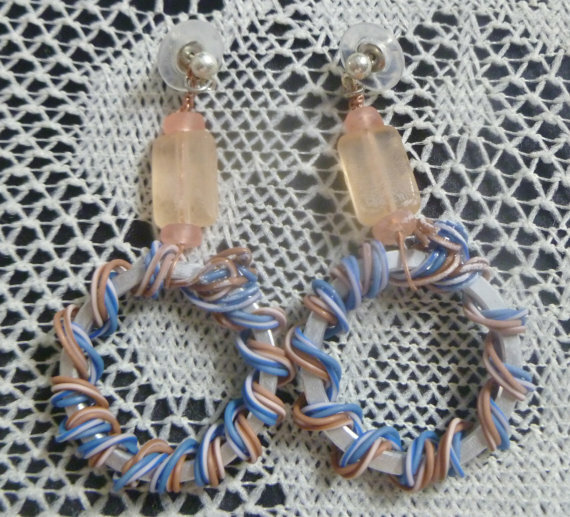 These earring are shown with posts. They can be converted to ear wires at no extra cost, just let me know when you order. PDD056 These can be purchased thru my Etsy shop.